Henry Patrick Dyer, 82 widower of Norma Jean, passed away Friday at Baptist Health Lexington. Born in Montgomery County, KY, he was the son of the late John Roland and Sarah Alice Hisle Dyer. Survivors are a daughter, Henrietta (Harry Matt) Mason, grandchildren; Erica Dixon and Michelle Warren, great grandchildren; Caitlyn Dixon, Evyn Conley, Jennavive Conley, Tara Coleman, Adrianna Conley and Braylon Conley. 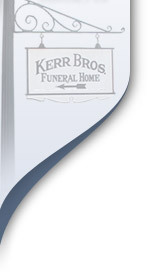 Funeral Service will be 12 p.m. Thursday at Kerr Brothers Funeral Home-Main St. Burial in Hillcrest Memorial Park. Visitation will be 10 to 12 p.m. Thursday.